If you're like most content marketers, you create a fair bit of seasonal content. Getting more from that investment isn't onerous. Here's an example. We wrote a whole series of summer safety tips for the North Carolina Jaycee Burn Center to use in its mission to educate the public about burn prevention and fire safety. Initially, those tips were released in a tips-and-fillers format to statewide media, posted on the Burn Center's Facebook page, and Tweeted out individually (with a link back to the bigger list). This year, the PR team used the copy to create infographics designed for distribution over the same channels. It's a logical progression that enabled the same master assets to be used across multiple channels and with a fresh spin. Nice work! 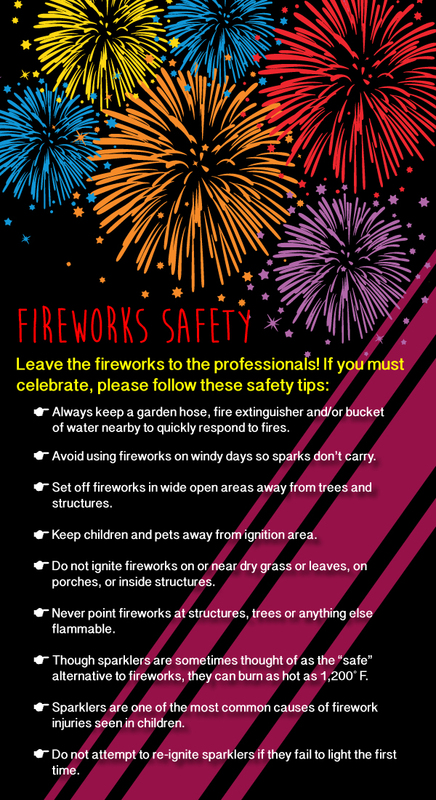 Here's the fireworks safety infographic, which was launched the week before Independence Day.